Traveling gives people the opportunity to see new places, meet new people, and have fun. For many, it’s a chance to relax and recharge. But traveling is also an education in different cultures and a way to open up your mind to new points of view. It can be a kind of re-training for those trying to create new content and enhance visibility. 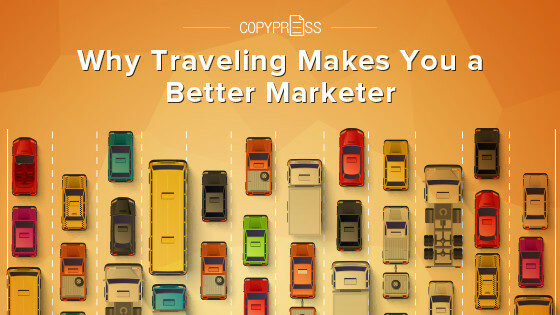 Discover the many reasons traveling makes you a better marketer. By meeting people abroad, you will observe routines, traditions, and beliefs that differ from yours. But you’ll quickly recognize that “different” does not necessarily mean “bad.” In addition, you will learn to understand those who come from another place, which will help you develop empathy. Empathy is the ability to understand and share the feelings of another. The more experiences you have abroad, the broader your ability to empathize tends to become. Nowadays, empathetic content marketing is an essential component of any strategy for reaching customers. Consumers expect companies to engage with them directly via social media or even in person. They will give you business if they feel you can truly relate to them. You also must be genuine and conduct your business in a way that matches their values. Consumers want companies to develop authentic relationships with them. Continuous development of empathy will help you better connect with your target market. Therefore, your goal should be to reach out to the people in the places you’re exploring. To start, you should observe other people in order to understand what’s important to them. For example, if you visit southern Italy, you will experience the riposo (known elsewhere as a siesta). Families come home from work and school around midday for lunch. They gather to break bread and catch up with one another. Also, they sometimes nap before returning to work in the evening. In the afternoon, everything, including supermarkets and shops, is closed. For some Americans, this is shocking. But the Italians hold tight to their family and make preparing and sharing good food a priority. Knowing this about them can help you pinpoint ways to market to them. Gathering this kind of information on other people can help you create fitting content for niche groups. Seeing different sites and experiencing new places is sometimes enough to spark the imagination. Sometimes, a change of pace is all it takes to get out of a slump and start brainstorming. When you’re away from your usual routine, you also have the chance to take a deep breath and gain perspective. Often, you have the rare opportunity to clear the mind and just think. Allowing the mind to wander can help you unlock thoughts you may have never had otherwise. In general, traveling can provide inspiration by mentally stimulating you and providing ample opportunities to feel a range of emotions. Bring a notebook and pen with you, or simply jot down ideas in your smartphone. Be ready to keep track of your thoughts as they come to you. Later, you can look back at your notes to come up with more complete plans. Besides picking up on cues that might spark ideas, you will also learn about the different ways people in this other culture communicate and try to connect with potential buyers. As a result, you gain insights into both the culture’s approach to marketing and ways to innovate your own strategy. By observing other people, you can gain perspective. You start to recognize the stark contrasts between cultures but also the ways in which people are the same. In addition, things that might have seemed weird to you before make more sense when an entire group of people supports them. “For me, travel is 100 percent perspective,” writes Alex D’Amore, a senior editor at Social Media Explorer who works remotely because he is on the road. “It’s about taking you out of whatever you consider normal and showing you that ‘normal’ can be defined seven billion different ways on this earth. There is no one normal, and there is no one right way to view or interpret a situation.” Besides giving you a number of ways to tackle problems, gaining perspective also helps you realize others might have unexpected, valuable ideas, too. Thus, your mind opens to new possibilities. Another point D’Amore makes is how fleeting your experiences with people are when you’re traveling. You might only be in one country for a week or even a few hours, so you have to make the most of the time you have. It forces you to engage with others deeply and quickly. This means you must communicate with brevity and relate to others in short bursts. This is similar to how engagement with consumers via social media happens every day. In other words, you can practice developing relationships while traveling. You might find that it helps you get out of your shell. So, make use of what you learn when you’re back online talking to customers. Indeed, you should also consider different social media platforms as you would different countries. 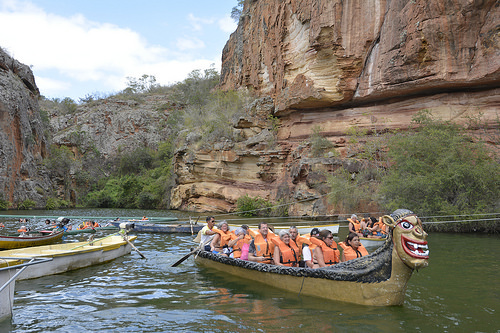 Entering in the way you would a different culture will help you better adapt to each, writes D’Amore. What makes traveling special is its ability to open your eyes to new cultures, cuisines, and ideas. It gives people a chance to see problems from a different point of view. Sometimes, that can help them come up with viable solutions and innovative content. For marketers, traveling is a chance to develop a global mindset and recharge creativity. The best part is it’s a form of education that is also entertaining.